Apart from White and Black Nexus 5, we might be seeing a new addition to its family, a red one. In the past few weeks, we have seen several pictures of the famous Nexus 5 with a red paint job. 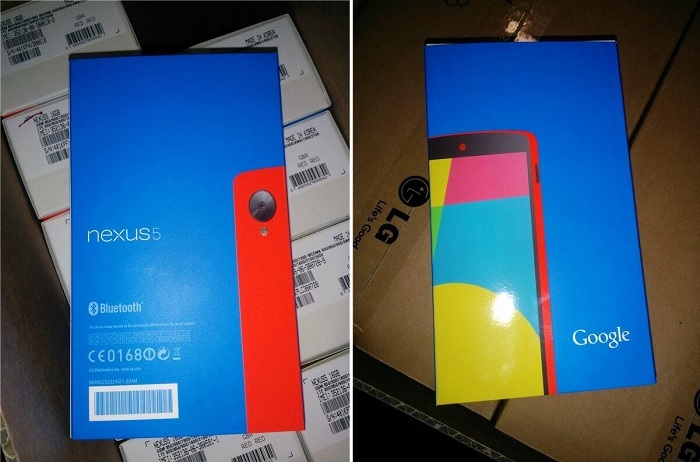 The first leaked image was the retail box and then a picture showing a carton full of red Nexus 5 waiting to be delivered in the near future. Recently, @evleaks, the serial leaker, have leaked out the press render of the Red Nexus 5 which gives us an idea that a new announcement in the playstore will come soon. Although the change is only in the colors, there’s no change in the hardware specifications of the devices. It still sports the 4.95 inch display with a 1920 x 1080 resolution, Andreno 330 GPU with 2.3GHz Snapdragon 800 chipset, 2GB RAM, 8MP camera with Optical Image Stabilization, 2MP front-facing camera, a huge 2,300 mAH battery and of course comes in two versions 16GB and 32GB. Ever since the Nexus 5 was released, its popularity is increasing day by day. One of the main reasons would be due to the fact that it runs on the latest Android OS and of course sports the latest Snapdragon processor. Although rumors suggested that it would have been twice more powerful than the present one. After its release, users faced problems while using the camera and there were many complains regarding it. Thanks to Google, they responded back with an update which solved the problem. In terms of color, we were more used to seeing either black or a white version. When Nexus 4 was released, it came out with a black version with the rear being a classy one. Later on, a white version was introduced. This time for Nexus 5, there were two color options at first and there’s a high possibility of seeing the red version coming out soon. No words yet on the release but there are rumors that it would see the light of the day on 4th of February. Although talking about color might seem unnecessary, it does carry a huge weight on making a decision on which smartphone to go for. We’ll update you once we have any news regarding the Red Nexus 5 hitting the retails.